I don’t know if you’ve noticed, but smartphone and audio manufacturers seem to be obsessed with adding ‘more’ to their devices. Nowadays, you’ll be able to pick up a handset with four cameras on the back, or earphones with four drivers in one earpiece. 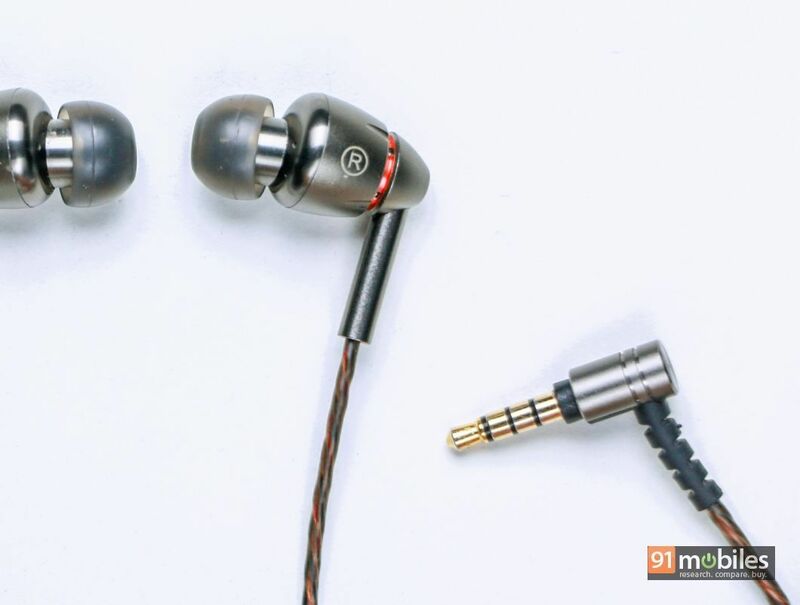 Thankfully, in the case of the latter, the four drivers actually bring about a noticeable change in the IEMs’ performance, especially when the earphones in question are the recently-launched 1MORE Quad Driver headset. 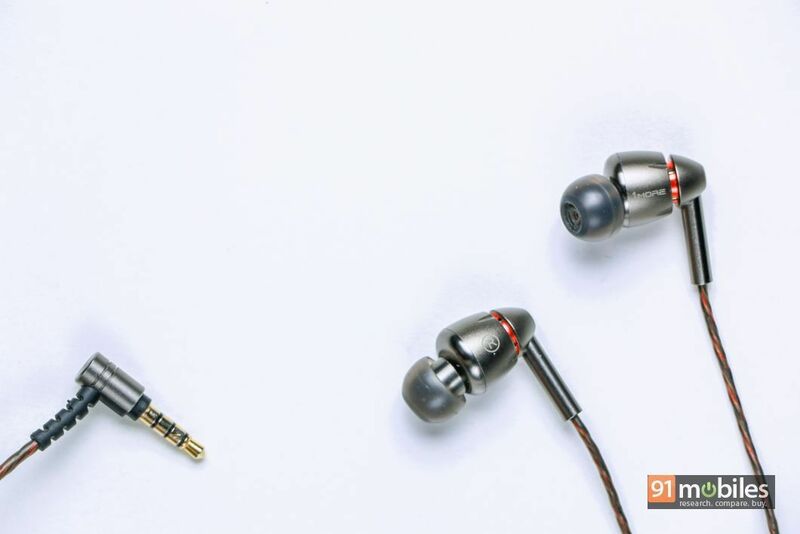 The Quad Driver comes as the successor to the renowned 1MORE Triple Driver earphones, and it goes without saying that the IEMs have some pretty big shoes to fill. But, after a week of testing, I think folks at 1MORE have outdone themselves one more time. Here’s why. 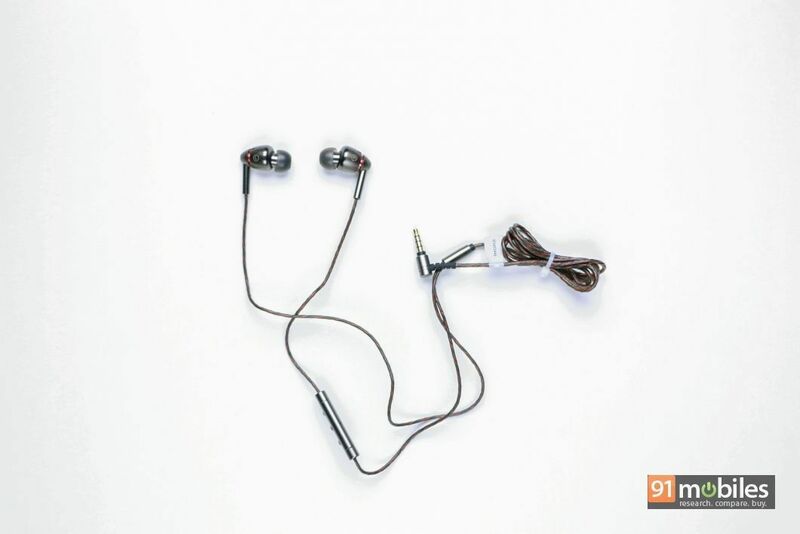 The 1MORE Quad Driver is by no means an inexpensive product but, you’ll get the sense that you’ve spent your money well the second you unbox the earphones. 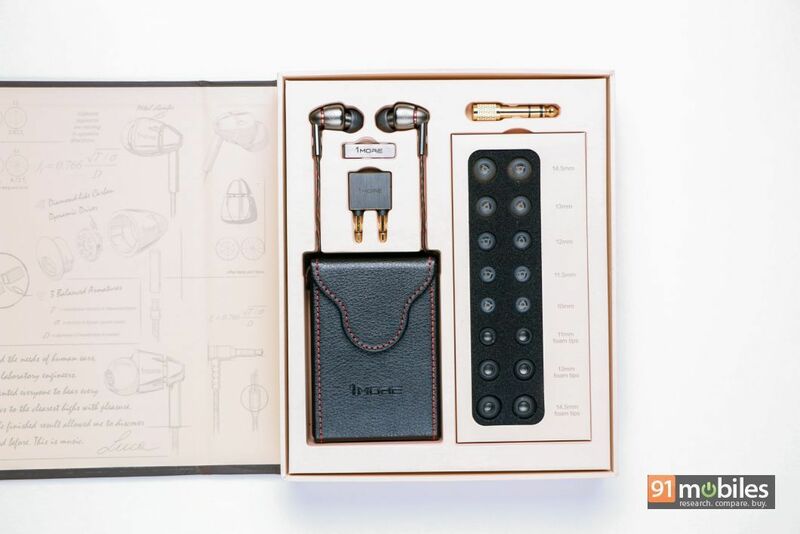 The unit comes neatly packaged in a brown cardboard box, opening which you’ll find the earphones themselves, along with a tray of different-sized silicon eartips as well as foam tips, an airplane adapter, a clip with the company’s branding, a 6.3mm adapter and a hard-shell carrying case. 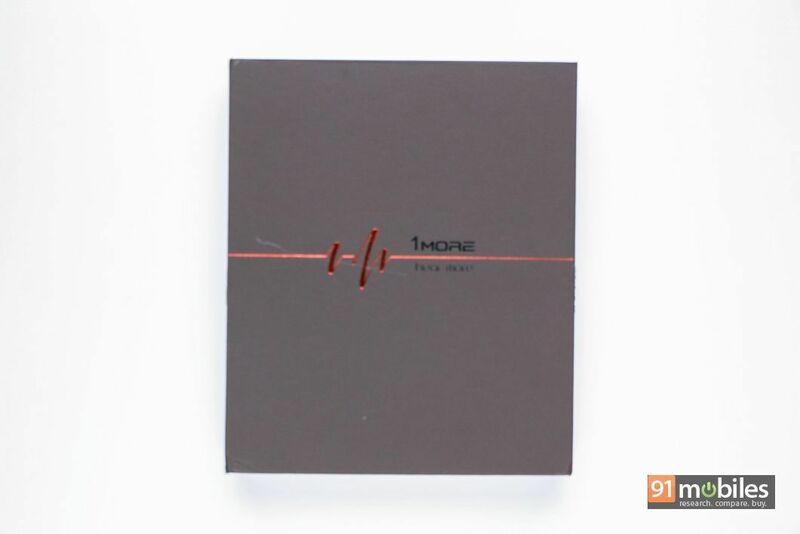 Suffice it to say, the company has left no stone unturned with the packaging of its flagship IEM. While it’s true that the sound of a pair of earphones makes or breaks its sale, it doesn’t hurt if the pair looks aesthetically appealing too. On that note, the 1MORE Quad Driver are among the best-looking and the most luxurious IEMs I’ve ever tested. 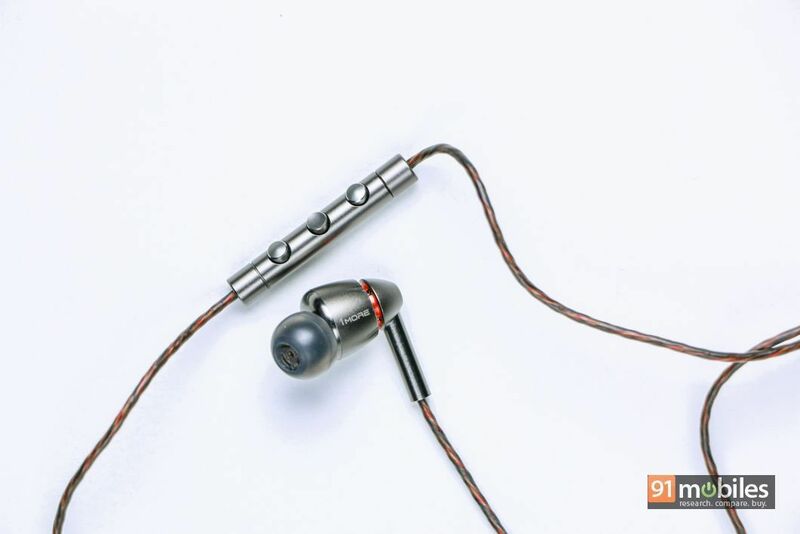 A good chunk of the earphones has been constructed out of aluminium (including the earpieces, the nozzle, the in-line remote as well as the L-shaped 3.5mm connector), which is evident the second you take the earphones out of their packaging. 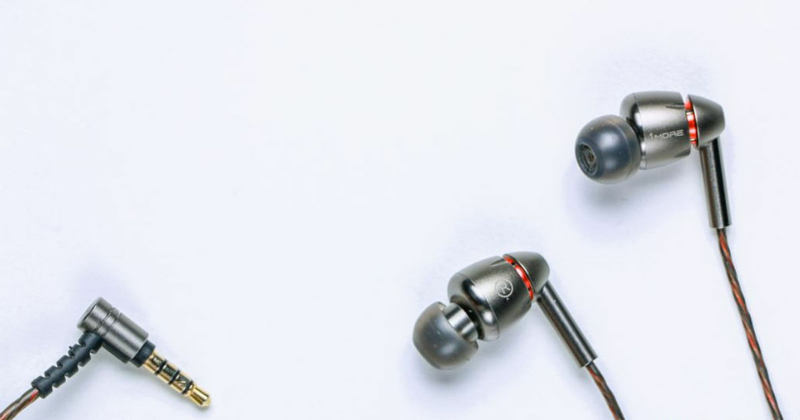 What’s more, the geniuses at 1MORE have managed to strike the perfect balance between flimsy and heavy, so even though the unit has a good heft to it, it won’t burden your ears when you’re out and about. From a pure design standpoint, the Quad Drivers look phenomenal. The earpieces sport a gunmetal finish which is complemented beautifully by bright red accents running along its edges. 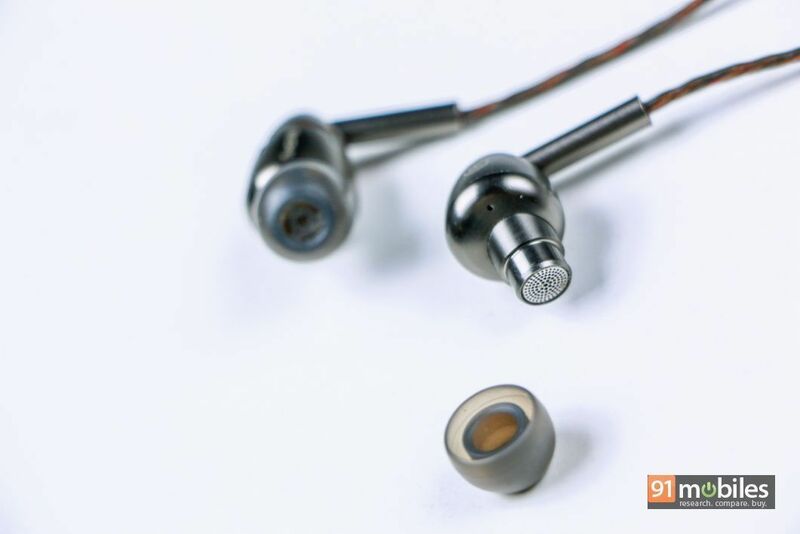 The nozzle – which sits at an angle of 45-degrees – has been machined flawlessly and there are no rough edges whatsoever on the earphones’ entire body. Even the filter mesh on the Quad Drivers is metal and has super-fine perforated holes, which I can only imagine took some doing. It’s this meticulous attention to detail which sets products from 1MORE apart from the competition. The premium design of the Quad Drivers is apparent from the cables too. The company has furnished the unit with a copper cable which is wrapped in Kevlar – you know, the stuff that’s used in bulletproof vests. No biggie. Consequently, the cable feels extremely sturdy and I’m confident that it’ll not undergo the same wear and tear process as a cheaper, TPU cable. What’s more, thanks to the use of superior materials, the cable on the Quad Driver isn’t as microphonic as some other options out there and it untangles easily too. The in-line remote on the 1MORE Quad Driver features three buttons which will let you control your music playback or invoke the search assistant on your smartphone. The buttons felt adequately tactile and it was easy to identify which one’s which by touch, since they protrude outwards. As I mentioned previously, the Quad Drivers ship with a wide array of differently-sized silicone and foam tips and therefore, I’d be really surprised if you aren’t able to narrow down the perfect fit for your ears. In terms of comfort, the earphones attained a secure fit in my ears, thanks to the unit’s angular nozzle and I didn’t face any issues wearing the pair for hours on end either. As good as the design of the 1MORE Quad Driver is, your purchase decision will inevitably boil down to the IEMs’ sound quality. And, after over a week of testing the pair across a sea of genres, I can confirm that the unit sounds absolutely fantastic. As its moniker suggests, the 1MORE Quad Driver is backed by four drivers comprising three balanced armature units and a diamond-like carbon dynamic driver. The headset can function across a frequency range of 20Hz to 40KHz and offer an impedance of 32 ohms, meaning you’ll be able to drive them with just about any portable media player or smartphone. 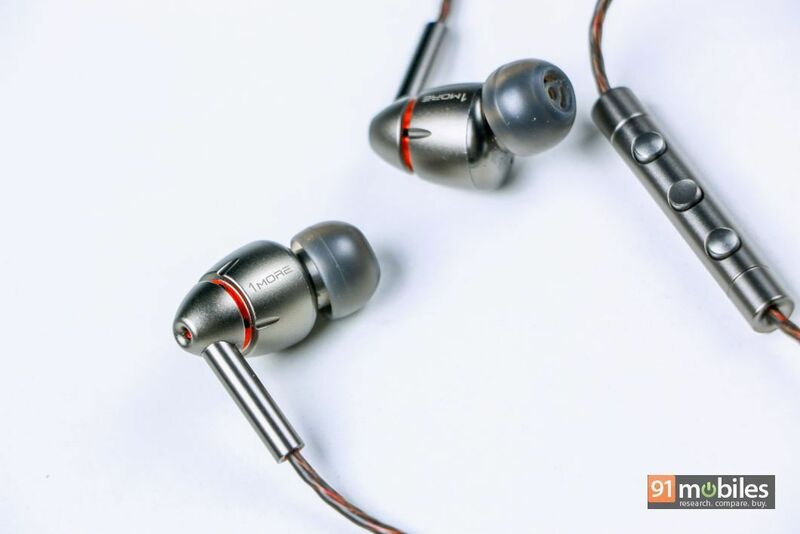 The 1MORE Quad Drivers can throw a meaty punch in the low-end, but I wouldn’t describe them as bass-heavy earphones. The beats pack just the right amount of oomph which would rattle your eardrums without impacting other frequencies. The decay has been kept to a minimum too, so songs with quick transitions sound fantastic on the Quad Drivers. For instance, you’d be surprised by how quickly the IEMs jumps from one beat to the other in Gorillaz’ Saturn Barz. Moreover, besides keeping up with the track’s swift transitions, the IEMs could do justice to every beat too, which is more than I can say for most competing models. 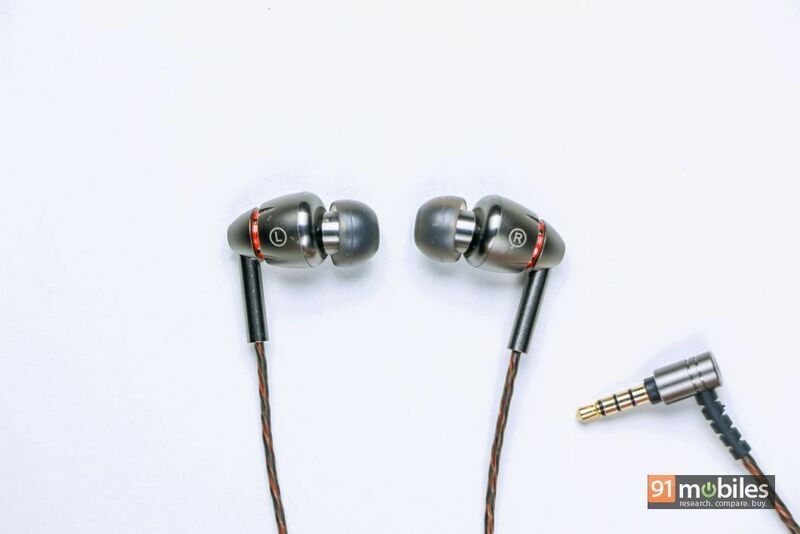 Naturally, you’ll also enjoy listening to songs with a deep bassline on the IEMs. Case in point, Billie Eilish’s Bury a Friend, a song which I couldn’t get enough of when I was listening to it on the Quad Drivers. The song kicks off with the kick drums (no pun intended) churning out a captivating rhythm which when relayed through the IEMs, gave me goosebumps. The thumps felt concise and they set an ominous tone which is what the song was trying to convey in the first place. Simply put, the Quad Drivers elevated low-end will appease to folks who just want a fun-sounding earphone whilst striking a chord with discerning audiophiles too. The mid-range sounds terrific too. To my ears, the vocals had an air of naturalness to them which made listening to acoustic blues from Hozier and James Bay an absolute treat. In fact, I could swear that I was listening to the singers perform their hits as they were recording it in a studio. Their voices sounded lush, full of details and untouched by layers on layers of software processing. When I first took the company’s 1MORE‘s Triple Drivers for a spin, I was taken aback by the unit’s ability to reproduce enjoyable highs. While the details were slightly amiss, I was more than content with listening to rock songs on the unit. But, after a week with the Quad Drivers, it seems that the company has outdone itself once again. Rock songs with chaotic power chords sound coherent through the IEMs and even at relatively high volume levels, the riffs of a guitar seldom overlapped with the vocals or other instruments. I must hand it out to 1MORE for offering an expansive soundstage and impeccable imaging with the Quad Drivers too. Songs rarely felt congested when played through the pair and I could tell between the different instruments being played in a song easily. In case it’s not obvious enough – I really, really like the 1MORE Quad Drivers. The IEMs sound phenomenal, look gorgeous, are comfortable to wear over long listening sessions and come with a host of accessories too. The earphones retail for around Rs 13K on various e-commerce websites so if you’ve got the dough, wait no more. 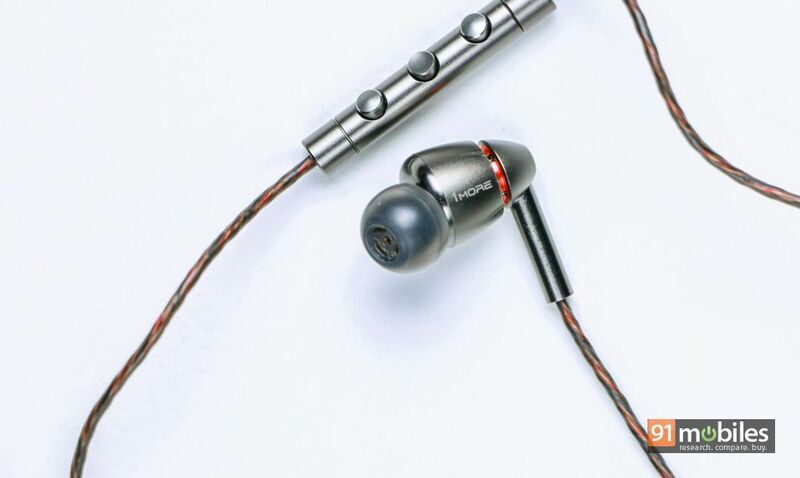 That said, the company’s Triple Driver IEM offers the same exquisite build and a similar sound for almost half the price (~Rs 7K) of the Quad Drivers. The difference in the sound quality will be immediately apparent to seasoned veterans but to untrained ears, the Triple Driver will sound just as good. Therefore, if you’re looking to save some cash, I’ll recommend you opt for the Triple Drivers instead. Regardless of which of the two you opt for, you’ll not be disappointed.